Whether you’re shopping for your weekly groceries or preparing for the Fourth of July holiday, it pays to shop at Giant Food Stores through July 8. 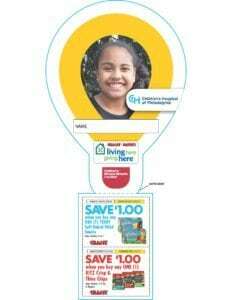 For the next two weeks, Giant shoppers will be asked to help six Children’s Miracle Network Hospitals raise money for sick and injured children treated at local hospitals during the annual Miracle Balloon campaign. 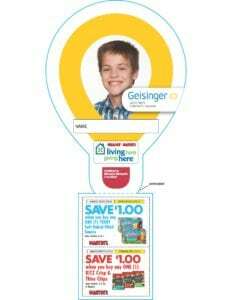 This means that Johns Hopkins Children’s Center, University of Virginia Children’s Hospital, Children’s National Health System, Children’s Hospital of Philadelphia, Penn State Hershey Children’s Hospital and Geisinger Janet Weis Children’s Hospital will bring even more miracles to sick and injured children in their areas. 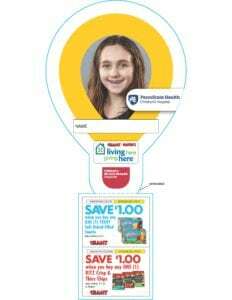 Supporters can purchase a $1 Miracle Balloon to help kids like Holly featured on the balloon and save $2 on a variety of Nabisco products in-store. 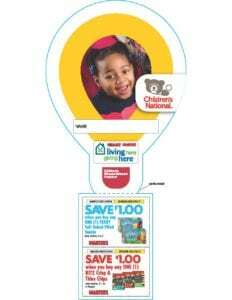 Giant has been a proud partner of Children’s Miracle Network Hospitals for 21 years and has raised more than $40 million for Children’s Miracle Network Hospitals. Visit www.giantfoodstores.com to locate your nearest store and join in the fun using the #giantmiracles hashtag on social media.